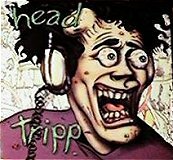 Side 1: Lucy's Wedding by Plastic Clock Radio / If I Had A Mind by Steve Weber / Gossip by Gerard Malanga and Ingrid Superstar / Noise by The Velvet Underground / Jazz Impro by Marion Brown, Scott Holt, and Ron Jackson / Mantra by Allen Ginsberg and Peter Orlowsky. Side 2: Lucy's Wedding by Plastic Clock Radio / Love And Ashes by Tuli Kupferberg sung by Kupferberg and Viki Pollon with Peter Rawson on guitar / The Free Lance Pall Bearers c copyright 1966 Ishmael Reed / Silence by Andy Warhol c copyright 1932 / Interview with Hairy by Ken Weaver and Ed Sanders. Cover: Walter Bowart. 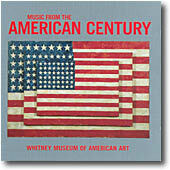 Edited by Richard Alderson, Allen Katzman, Betsy Klein, and Walter Bowart. This album was recorded in August 1966 by a group of NY arts people asociated with the underground newspaper The East Village Other (e.g. Ed Sanders, Tuli Kupferberg of the Fugs). The bulk of the album consists of chanting, poetry and sounds. The Velvet Underground contribution is an instrumental well-hiden behind the voice of Lyndon Johnson's daughter Lucy Byrd being interviewed on her wedding day. Side 1 : 1. The Fairest Of The Seasons (4:05) / 2. These Days (3:25) / 3. Little Sister (4:20) / 4. Winter Song (3:15) / 5. It Was A Pleasure Then (8:00). Side 2 : 6. Chelsea Girls (7:25) / 7. I'll Keep It With Mine (3:20) / 8. Somewhere There's A Feather (2:15) / 9. Wrap Your Troubles In Dreams (5:15) / 10. Eulogy To Lenny Bruce (3'45). Nico's first solo album includes five songs written by Velvet Underground members: Little Sister (Cale/Reed), Winter Song (Cale), It Was A Pleasure Then (Nico/Cale/Reed), Chelsea Girls (Reed/Morrison), and Wrap Your Troubles In Dreams (Reed). Though those are not properly VU tracks, they were performed with the backing of Reed, Cale and Morrison. 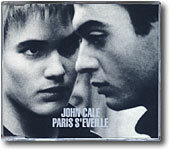 This John Cale's film soundtrack CD includes an edited version (first minutes of the track edited out) of Booker T., an instrumental track performed live by the Velvet Underground at the Gymnasium in April 1967. 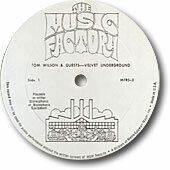 The liner notes erroneously say "of Velvet Underground recorded live at The Gymnasium, New York City 1968". The Japanese edition includes the long version of Booker T. as bonus track. Includes the unedited version of the track mentioned above. 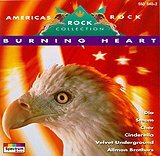 This "long version" appears in 1994 on a Lou Reed bootleg CD called A True Rock 'n Roller. Booker T. will finally get a larger and official exposure with its inclusion on the 1995 Peel Slowly And See box set but with the first seconds edited out. Plain white cardboard jacket with a small promo stamp on the cover and separated cue sheet with tracklist. White label (possibly exists as yellow label, though existence is unconfirmed). 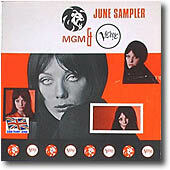 A 2-LP set of interviews and music from Verve/MGM artists produced for underground FM radio stations. It has producer Tom Wilson chatting with John Cale and Lou Reed. There is also an ad for Nico's Chelsea Girl LP. 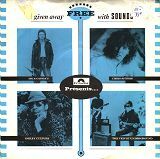 Part of the Reed/Cale interview by Tom Wilson is available on the unofficial picture disc An Interview With The Velvet Underground. 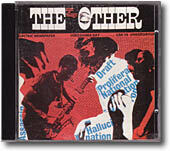 The Australian What Goes On 3-CD set and the Screen Test bootleg LP have also excerpts of the interview. Side 1: 1. The Shadow Of Your Smile - The Amazing Dancing Band (2:47) / 2. Poetry In Motion - Johnny Tillotson (2:32) / 3. Sportin' Life - The Beacon Street Union (2:05) / 4. My Buckets Got A Hole In It - Hank Williams (2:34) / 5. Here She Comes Now - The Velvet Underground (2:44) / 6. Funny Freak Parade - Ultimate Spinach (2:36) / 7. Up Up And Away - The Amazing Dancing Band (2:24). Side 2: 1. What Is Happy? 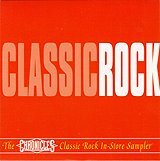 - The Cowsills (2:29) / 2. Will You Love Me Tomorrow - Sandy Posey (2:32) / 3. I've Never Seen Love Like This - Orpheus (2:36) / 4. Country Boy - The Righteous Brothers (2:43) / 5. If I Ruled The World - The Righteous Brothers (2:48) / 6. 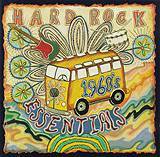 Monterey - Eric Burdon & The Animals (4:21) / 7. 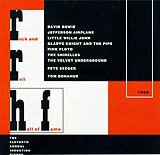 A Penthouse Down - Jazz Interactions Orchestra (2:05). The record came in a "stand up" sleeve - no picture however - so that it could be displayed in record shops. 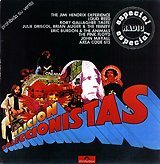 Spanish promo compilation of 60's and 70's songs by Jimi Hendrix, John Mayall, Pink Floyd... and Loud Reed. Yes - LOUD REED!! The track is actually "The Velvet Underground & Nico" version. Neutral white sleeve with title sticker on front. This Polygram Records 1985 in-store play sampler LP including six songs - two each by Van Morrison, Velvet Underground, and Richard Thompson. Van Morrison: Tore Down A La Rimbaud and If You Only Knew, Richard Thompson: When the Spell is Broken, You Don't Say. Free with the October 1986 issue of Sounds magazine. Notes: free with March 1992 issue of Vox magazine. VU track: I'm Waiting For The Man, Pale Blue Eyes. 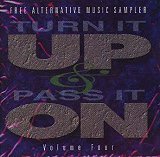 Notes: free sampler with Zounds magazine. VU track: I Can't Stand It. VU track: I'm Waiting For The Man (re mastered). Notes: free with New Musical Express magazine. "Taken from forthcoming 4 C.D. Box Set". Notes: Sweet Jane is the version from the Peel Slowly CD box set. The CD-ROM part includes VU bio and photos. Notes: given away free in record stores. Sweet Jane is the version from the Peel Slowly CD box set. 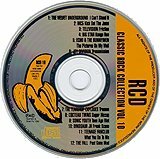 Notes: promo CD with I Can't Stand It from the Peel Slowly CD box set. 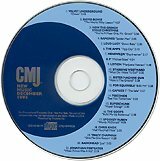 Notes: promo CD with CMJ New Music Monthly magazine with Ocean from the Peel Slowly CD box set. Notes: given away to the NYC $1500 a plate induction banquet at the Waldorf-Astoria, NYC on January 17, 1996. Rock & Roll and Sweet Jane are the Loaded versions. Notes: promo CD. 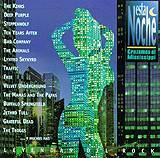 Pale Blue Eyes is the "Val Valentin" mix version. Notes: CD-ROM with preview and 30-second excerpts from the Peel Slowly box set. Notes: CD-ROM with preview and 35-second excerpts from the Peel Slowly box set. Special thanks to Lau Buur Nielsen and Alfredo Garcia. Thanks: Shiroh Kouchi.